Becca is the new Bachelorette! The gut-wrenching finish to Becca Kufrin’s romance with Arie Luyendyk Jr. left Bachelor Nation speechless. In a change of heart, Arie broke up with America’s sweetheart just weeks after proposing to her – stealing her fairytale ending and her future. Now, the humble fan favorite and girl next door from Minnesota returns for a second shot at love, starring on “The Bachelorette,” when it premieres for its 14th season on MONDAY, MAY 28 (8:00-10:01 p.m. EDT), on The ABC Television Network, streaming and on demand. The announcement was made tonight on the live “The Bachelor: After the Final Rose” special. Becca was raised by her parents Jill and Steve Kufrin, who provided a consummate example of what a marriage should be. She also looks up to her older sister, Emily, the epitome of confidence and charisma. Her father’s passing when she was 19 was pivotal and made her look at life through a different lens, where she learned to appreciate each day to the fullest. When Becca isn’t making a splash at the boutique public relations agency where she works or planning her next overseas trip, she can be found at home hosting dinner parties for her friends. Season highlights and a list of bachelors will be released at a later date. The whole cast for this season will be announced tomorrow 12 pm board time. They will have 28 bachelors. Clay plays football in Philadelphia Eagles and he's the Jordan Rodgers of this season, Colton is also a football player and once linked with Aly Raisman. That I said on my posts up above, I got 29 out of 30 right. “Episode 1402” – Twenty-one men – still reeling from the dramatic first rose ceremony – look to get their love story with Becca off to a good start as they move into the mansion. Fan-favorite Bachelorette couple Rachel and Bryan put eight of the bachelors through their paces in an obstacle course meant to test their abilities as a groom. Blake gets the first one-on-one date of the season planned by Chris Harrison with an assist from celebrity rapper Lil Jon. Ten lucky men arrive at a gym where they are challenged to show off their athletic skills while playing in a dodgeball tournament in front of a live audience. Iconic comedian Fred Willard joins Chris for the colorful commentary. Some shocking news will be shared during the after-party which rocks Becca’s world, and she must remain focused on her ultimate goal of finding a soul mate, on “The Bachelorette,” MONDAY, JUNE 4 (8:00–10:01 p.m. EDT), on The ABC Television Network, streaming and on demand. Rachel and Bryan explain the obstacle course to the eight excited guys decked out in tuxes. The “winner” gets to propose to Becca. However, the boastful champion earns some enemies as he shows off at the after-party, and there is a face-off between him and one of the jealous men. Blake is the fortunate man to get the first one-on-one date. Chris Harrison reveals that Becca and Blake will work through the Bachelorette’s stunning ending to the past season by destroying objects that represent Arie and Becca’s relationship, including the demolition derby racecar, the breakup couch and a video of their engagement. Rapper Lil Jon performs his hit, “Turn Down for What,” as the couple use sledgehammers to make waste of the bad memories. This unassuming guy opens up about his unfortunate dating past, but will his vulnerability be a plus or a minus for Becca? Becca and three very energetic kids greet 10 bachelors to put them through a series of dodgeball activities where the men showcase their physical skills. When Becca reveals that they will be competing in a dodgeball tournament in front of a live audience, a fierce dodgeball game played on trampolines breaks out. Comic actor Fred Willard joins Chris in his inventive color commentary role. At the after-party, one of Becca’s favorites drops a bombshell secret which blindsides her. Will she be able to move forward with this handsome man? The cocktail party is full of drama as Becca admits to having a hard time in light of the information she received the previous night. One flashy suitor shows up in his underwear to steal some time with Becca, which creates even more tension between the men. In the end, three men go home without a rose. “Episode 1403” – Becca looks to recover after last week’s drama as she takes six gentlemen on a spa date, where they unexpectedly must offer the services to some of the Bachelorette’s close friends from the most recent season of “The Bachelor.” Chris joins Becca at the iconic Capitol Records studios where GRAMMY Award-winning artist Richard Marx not only sings to the couple but tasks them to write heartfelt lyrics about each other. One hopeful bachelor has a freak accident which could have terrible consequences. A group of men meet Becca at a football field to run drills with professional Legends Football League stars and then play a lively game. Former NFL star Keyshawn Johnson joins Chris Harrison for the play by play until a devastating tackle ends the fun and games. 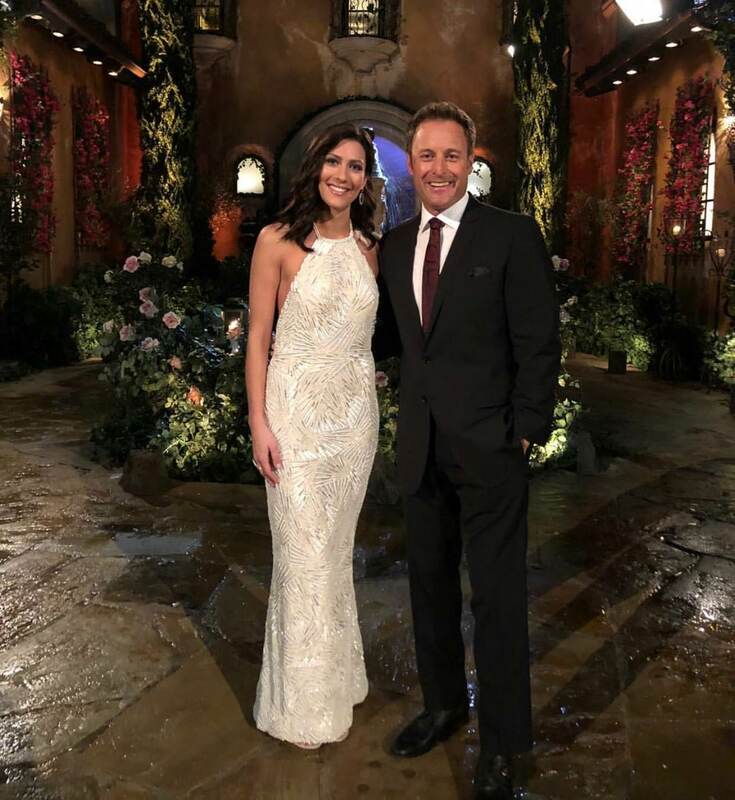 The injured suitor will need to make a decision that will impact not only Becca but the rest of the house, on “The Bachelorette,” MONDAY, JUNE 11 (8:00–10:01 p.m. EDT), on The ABC Television Network, streaming and on demand. Editors’ note: If the NBA Finals go to Game Five, “The Bachelorette,” “Episode 1403,” will air Tuesday, June 12 (8:00-10:01 p.m. EDT). Becca has a surprise for six men as she takes them to a spa where they will need to pamper Tia, Seinne, Bekah M., Caroline and Kendall from the last season of “The Bachelor.” One dashing man has the jitters: He had a relationship with one of these women who is close to Becca. Will it put an end to his chances with the Bachelorette? Two bachelors have a face-off at the after-party, arguing about one man’s questionable dating history. One lucky bachelor overcomes his dating past to capture the group date rose. Lucky Chris gets the only one-on-one date of the week. He and Becca meet GRAMMY winner Richard Marx, who serenades the pair with his smash ‘80s hit “Right Here Waiting.” But when he asks them to write their own sincere lyrics, Chris gets writer’s block. With Becca’s help, Chris becomes inspired and Marx creates a song with both of their lyrics. But will the emotional night end with a rose? One bachelor suffers a serious injury in a fluke accident overnight, leaving the rest of the men shaken. However, 10 men must motivate themselves to confront each other on the football field. Legends Football League superstars Malissa Miles and Dina Karwoski run the guys through drills until Becca reveals that they will play a football game rooted on by raucous fans. Popular former NFL star Keyshawn Johnson and Chris Harrison follow the action as the winner of the fierce contest will walk away with the MVP (Most Valuable Partner) Award. One man’s desire to excel turns into a stunning injury as Becca looks on in disbelief. Later, a few of the guys make great strides in deepening their connections with the Bachelorette, but a surprise return by one of the bachelors throws cold water on the men’s confidence. One of the injured men faces a serious medical diagnosis and he must make a life-changing decision. Will he stay and fight for Becca’s heart or leave her in tears? Will a Trip to Park City, Utah, Give Becca a Fresh Start? “Episode 1404” – Clay’s stunning exit only revs up the already fierce competition for Becca’s heart. The cocktail party continues with a private conversation between the Bachelorette and Blake while an intimate sit-down chat with Jordan ends in a surprise. Two unlucky men do not receive a rose at the next ceremony. The group begins their journey with a trip to Park City, Utah. Becca and her date of the day join celebrated 2006 Olympic bobsled silver medalists Valerie Fleming and Shauna Rohbock for a quick trip down the track. Country star Granger Smith caps off the night with a romantic private concert. Thirteen suitors see if they can make the grade as lumberjacks, and one last individual date takes Becca and her guy on a snowmobile excursion. 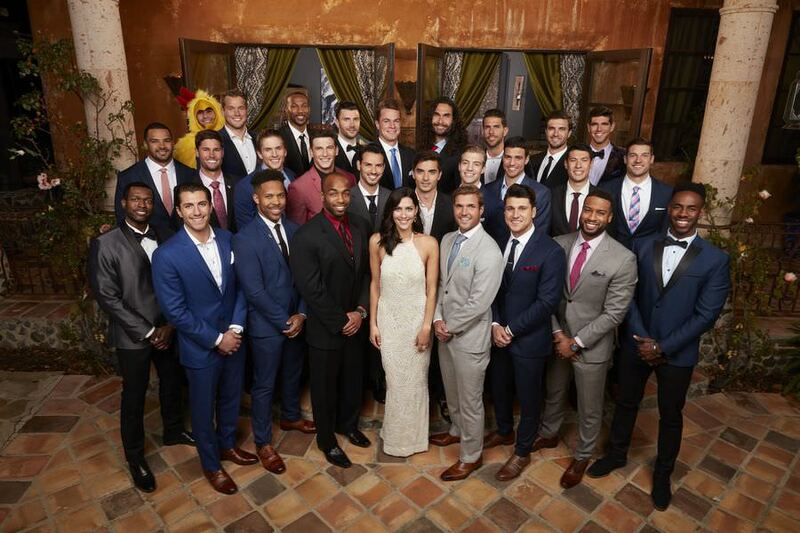 Becca has one last surprise, which makes the remaining men more anxious, on “The Bachelorette,” MONDAY, JUNE 18 (8:00–10:01 p.m. EDT), on The ABC Television Network, streaming and on demand. Thirteen men see if they can measure up as lumberjacks when married couple Kendall and Billy Kunelius, a professional lumberjill and lumberjack, respectively, put them through their paces. The evening, however, ends in a shambles and a skeptical Becca wonders if there are any genuine men left. Becca’s last individual date of the week goes to one nerdy but genuine guy. The pair embark on a snowmobile excursion through the spectacular Park City wilderness and then bond over an emotional dinner sharing stories of heartbreak. As the men make plans to solidify their relationships with Becca, Chris Harrison drops a bombshell announcement, and the 12 bachelors left at the end of the rose ceremony will travel to Las Vegas. “Episode 1405” – Becca has reached the halfway point in her search to find her soul mate and what better place for her to try her luck than in Las Vegas. Colton and Becca explore the vast desert from an unusual vantage point. Nine fortunate bachelors get the kick of a lifetime, visiting iconic entertainer Wayne Newton and his wife at their lavish estate. He challenges them to write new lyrics for his classic hit “Danke Schoen,” showcasing their love for Becca, and then sing them in front of a live audience. The dreaded two-on-one date features David and Jordan in an intense showdown. What bachelors will find they have run out of luck – and roses? Find out on “The Bachelorette,” MONDAY, JUNE 25 (8:00–10:01 p.m. EDT), on The ABC Television Network, streaming and on demand. Becca takes Colton for a special adventure. The couple go on a camel safari, each on top of a beautiful humpback camel, riding through the desert and taking in the panoramic Virgin Mountains. They arrive at a hot tub right in the middle of the desert for a rejuvenating soak. Later, an intimate dinner and a private double-decker bus trip along the neon-lit Strip offers Becca the opportunity to move pass her issues with Colton’s dating past. But will she be able to? Nine men travel to a sprawling estate where Becca greets them along with Mr. Las Vegas himself – Wayne Newton – who is accompanied by his wife, Kathleen McCrone Newton. After showing off his collection of vintage cars and massive collection of Vegas memorabilia to the awestruck bachelors, Newton has a music-themed test for them. Each must write his own love-for-Becca lyrics for his iconic 1963 hit “Danke Schoen” and then perform their new renditions of the song in front of a live audience. Newton introduces “Becca’s Bachelorette Rat Pack” to the appreciative crowd and the men do their best to stay on key. Afterward, one man acts immaturely and considers leaving for good, but Becca entrusts the group rose to an unsuspecting, charming bachelor. Confrontational from the start, David and Jordan embark on their two-on-one date with Becca. They drive through the wondrous red sandstone formations of the Valley of Fire to arrive at a rest area. The two men face off with the Bachelorette caught in the middle. Which of these feuding bachelors will end up with the date rose? More drama ensues at the cocktail party as the man who threatened to leave earlier, spirals out of control in his attempt to stay, alienating the other guys. Will Becca reserve a rose for him? Only nine men will remain, competing for Becca’s heart as they move on to historic Richmond, Virginia. Richmond, Virginia, whose past is inextricably connected to America’s rich history, is the backdrop for a defining week in Becca’s journey. Jason and Becca’s date takes the couple on a trolley tour around town, but the day ends on a stunning emotional note. Seven men pay homage to Virginia, one of the cradles of democracy, as they take a history quiz and then participate in the “Beccalection 2018” debate. Leo and Becca take a spectacular aerial tour of the state and try their skill at shucking oysters. Australian country superstar Morgan Evans caps off the night with a special performance. One bachelor mounts a shocking late-night surprise which may decide his fate with Becca. Which men will be on the right side of history? Charming and funny Jason accompanies Becca on a quaint trolley ride. Their first stop is at one of the most popular donut shops in the state to learn how to make the tasty treats. They end up having their own party! The next trolley stop is the Edgar Allan Poe Museum where the lively and irreverent pair celebrate the gothic “un-happy hour.” Becca surprises Jason at the local brewery, having a group of his friends meet them. Later at their intimate dinner, the normally lighthearted bachelor opens up and shares some painful family memories. But will this suitor’s revelations help or hurt his romantic cause? Seven men meet Becca at the Virginia State Capitol building with George Washington and Abraham Lincoln conducting a history 101 quiz to test their knowledge of the nation’s early years. They are further challenged to compete in a debate on the Capitol steps to try and sell themselves to Becca as a political candidate would do. Virginia Governor Ralph Northam is even in attendance. However, it dissolves into an ugly showdown between two bachelors in front of the startled crowd. At the after-party, the other men cringe, fearing their chance to get closer to Becca and get the group rose will disappear. However, one man is able to take her mind off the commotion and captures the rose. Emotionally drained from the group date drama, Becca starts off the next day with Leo. A panoramic aerial tour of the state and Chesapeake Bay await. Back down on earth, they retrieve and shuck oysters and then head to a private dinner inside Richmond’s City Hall. They move on to a special concert by Australian country star Morgan Evans singing his hit “Kiss Somebody” – and the pair happily oblige. The night isn’t over. One suitor decides to risk it all on one last-ditch effort to convince Becca that, despite recent events, he really is committed to her. More surprises come the next night. Becca confidently knows which guys she will give roses. The final six men will travel to the Bahamas for some fun in the sun as the hometown dates loom.